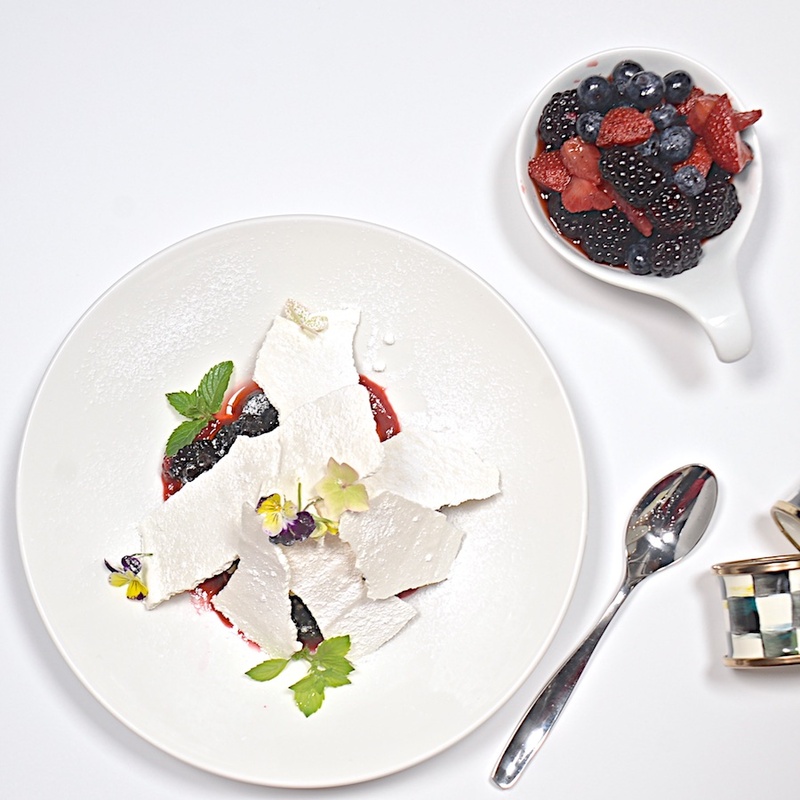 Here is an easy summer dessert that uses the beautiful seasonal berries. 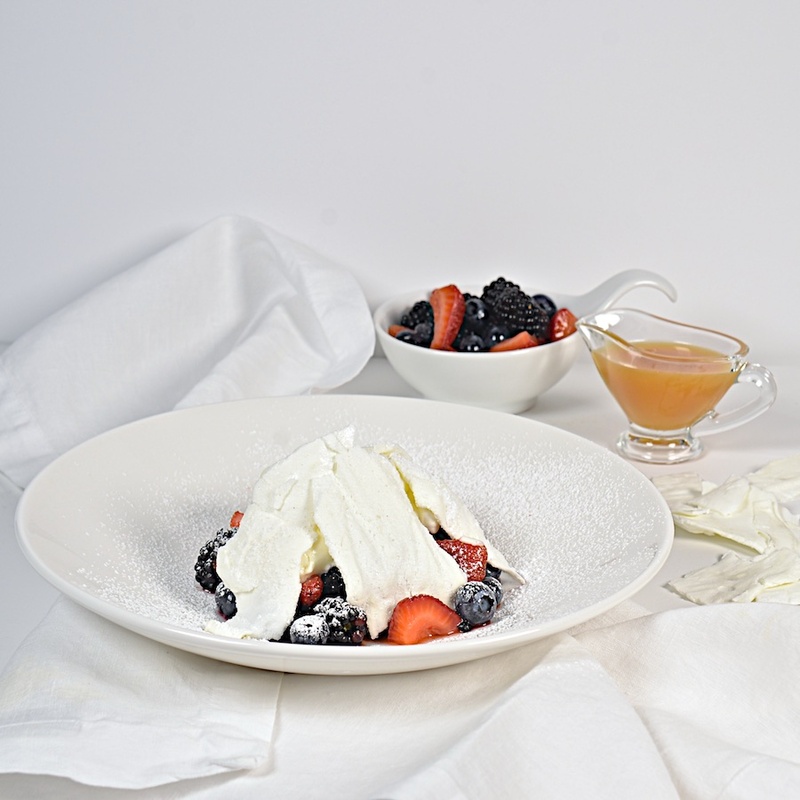 I macerated the berries with a little sugar and ice wine (or dessert wine) top them with ice cream and whipped cream, then cover it all with meringue shards that add an element of surprise (you cannot see what’s under) and a crunch factor to this refreshing, simple dessert. I had an opportunity to cook for visiting friends in the last couple of weeks and it allowed me to make a few different desserts. Some of them will make it to the blog sooner or later. Other than that our strange season this year is keeping us under a layer of yellow smoke and we often have to keep the doors to the patio closed to keep the smoky air out. It’s still fun to hang out on the rooftop patio though and look at all the flowers, vegetables and herbs I have growing. The tomatoes are just beginning to turn red and I look forward to use them with the basil growing in abundance among the other plants. I am also working on our next travel adventure, this time Australia and New Zealand for the winter (their summer) and I am excited about the experiences I am planning for the trip. After my addiction to Masterchef Australia, this is a fitting destination. If you have any suggestions for either of these destinations I would love to hear from you. Whisk the egg whites in an electric mixer until soft peaks form. Begin adding the sugar gradually until stiff peaks form but don’t let the meringue dry. Spread the meringue on a baking sheet lined with parchment, spreading it thinly and evenly. Bake at 200ºF until the meringue is dry. It should remain white. Remove from oven and let cool, then break into shards. 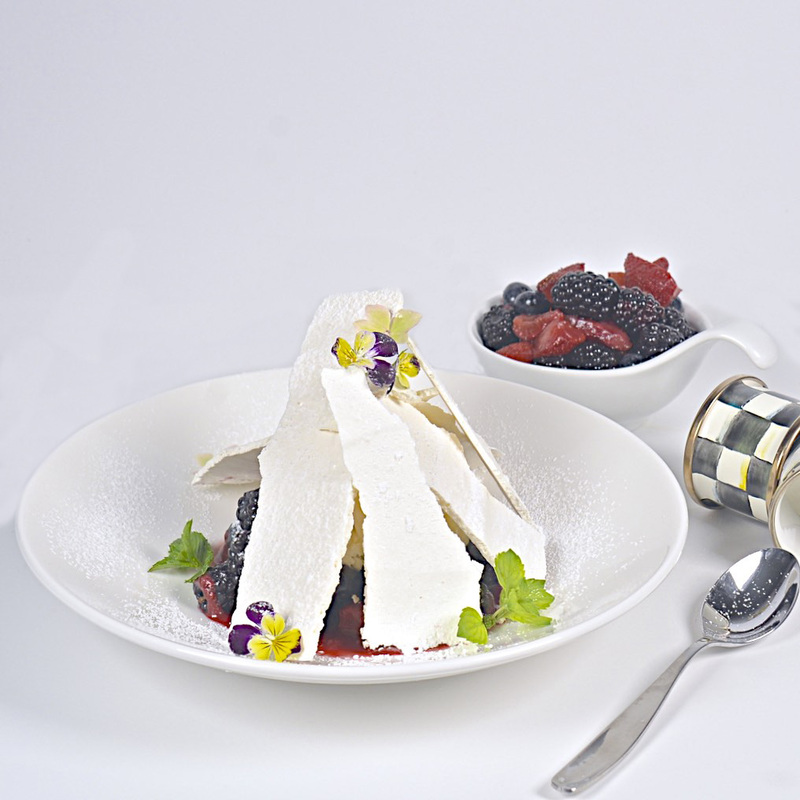 Combine berries with sugar and dessert wine and set aside to macerate. Spoon berries into the bottom of dessert bowls. Spoon whipped cream over the berries. 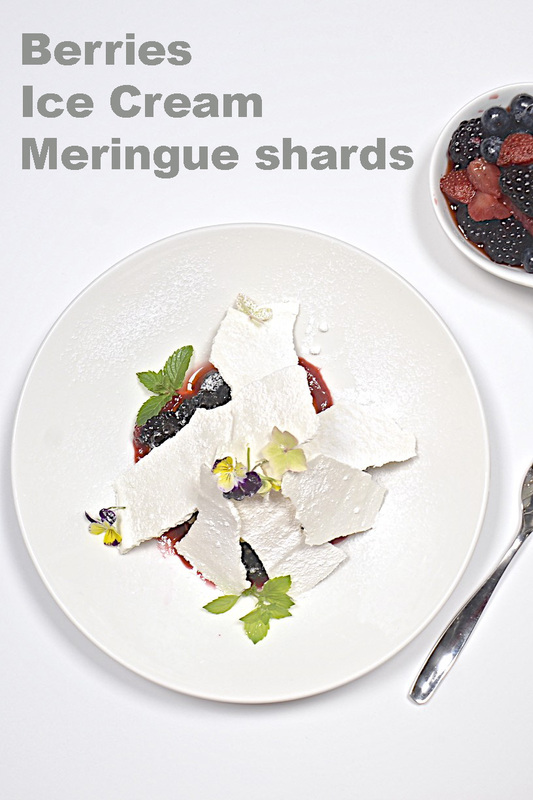 Arrange meringue shards to partially cover the berries and ice cream. Hi Philly, you are quick, I just posted this. I’ll make you one when you come over next.